Every week on the newsletter that I send out to Talk in French subscribers, I answer questions sent in by French learners like you. Most of the questions I receive are usually about concerns that a lot of learners also face. So to reach more people, I am sharing it here as well. For this post, I would like to share a question sent by Kathryn. « First thank you for making learning French interesting, challenging and fun. 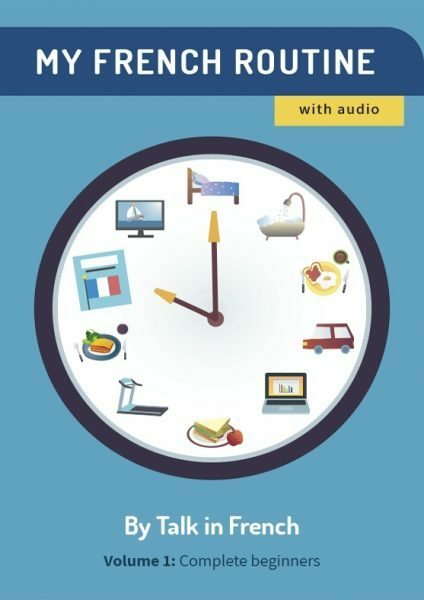 I leave for France in a few weeks and I have a question regarding a strange thing in duolingo. While the app is effective at getting me to practice, it leaves me with many questions, one of which I would like to ask you. Duolingo says: vous portez du pain. It translates this into "you are taking bread". Why not vous prenez du pain? Je prends au déjeuner, so why Je porte du pain? Is the difference when I want to eat bread Je prends, but when I buy bread Je porte? And if you have time: how to distinguish "this" versus "that". For example, I like this car versus I like that car. How can I tell someone I like that car and not this car? I love your books, btw. I am glad you liked my books. I like duolingo (I use it to reactivate my German) but it lacks some context and grammar explanation sometimes. 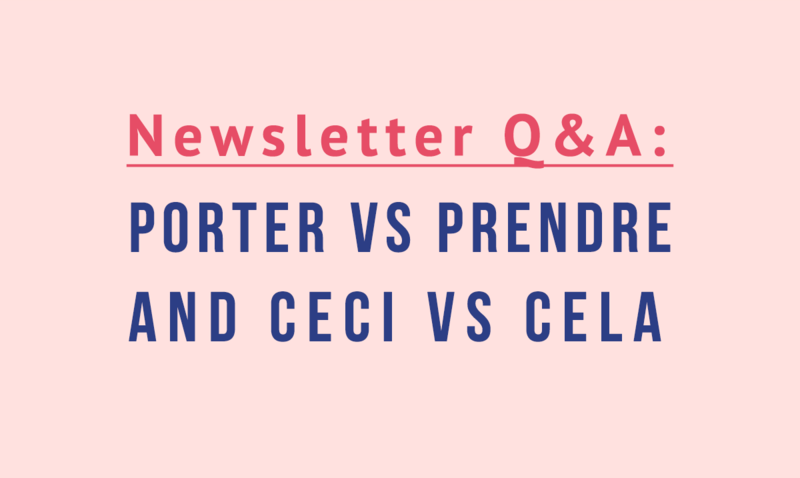 Yes there is a difference between « prendre » vs « porter. « Prendre » has the idea « to take » but here it is like to move something to oneself. Actually the verb « prendre » has so many meanings (same in English). Prendre can be used more widely. French people always say to someone in their family « Tu prends du pain pour ce soir ? » « you take some bread for tonight ? ». So you can use the verb prendre here as well. In my opinion « vous portez du pain » sounds weird. Apporter ou rapporter du pain sounds more natural. Now for the second question. We have something similar in French but the structure is a bit different. Do you like this ? Tu aimes ceci ? Do you like that ? Tu aimes cela ? Technically you can translate it as « J’aime cette voiture ». If you really want to specify the distance between two different cars (one is closer to you than another). You can use « J’aime cette voiture-ci » « I like this car » vs J’aime cette voiture-là « I like that car ». I guess it’s not too difficult to remember since there is an « i » in both ‘this’ and ‘ci’ and an « a » in ‘that’ and ‘là’. Compared with English, we don’t use this structure as often, I think. Do you have questions about the French language and culture that you would like to ask me? Feel free to send me your questions using the contact form below. If you’re not subscribed yet to the newsletter, now is your chance to join. You will also receive an overwhelming amount of FREE STUFF when you do--- including e-books, audio resources, vocabulary lists, and SO MUCH MORE.